Do you get frustrated with how long it takes you to write? Instead of staring at a blank page until beads of blood form on your forehead, inspire your writing brain with mindmapping. This painless technique is super easy to learn and remarkably effective at helping you uncover the raw material you need to write. 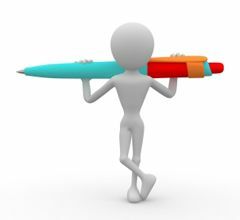 Equally valuable for all types of writing — from business to fiction and from memoir to how-to — this method has been celebrated by Tony Buzan and Gabriele Rico. I use mindmapping for every article I write. I even used it to produce my book, 8 1/2 Steps to Writing Faster, Better. Mindmapping is simple but there are some key strategies that make it easier and more effective. If you’d like to receive a free booklet on how to mindmap simply enter your name and email address in the easy-to-use box on my homepage. You’ll get your booklet right away and you’ll also receive my brief and weekly Power Writing newsletter at no charge. See the testimonials for my newsletter further down the right-hand column. But if you don’t find the newsletter useful, you can cancel anytime. Oh, and I never sell, give or share my list with anyone!